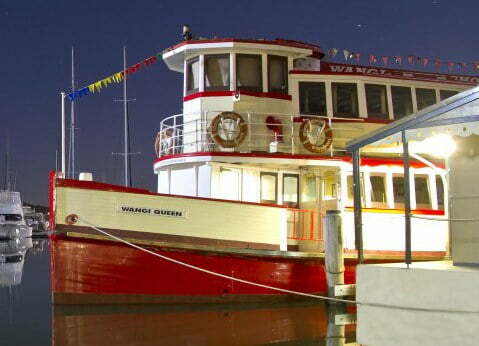 Experience Sydney New Year’s Eve on the harbour in style & comfort aboard the historic 1920’s timber ferry Wangi Queen. 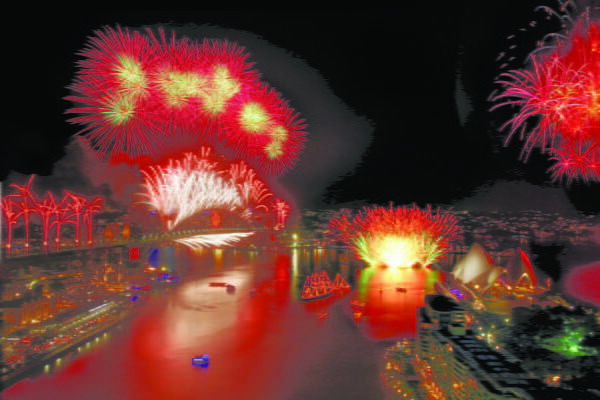 Each year viewing positions change subject to the “Parade of Light” schedule determined by the City of Sydney. As a Harbour of Light Parade Vessel, we are part of the official event and therefore our position is inside the exclusion zone. This fantastic cruise will sell out early. Book now to avoid disappointment. 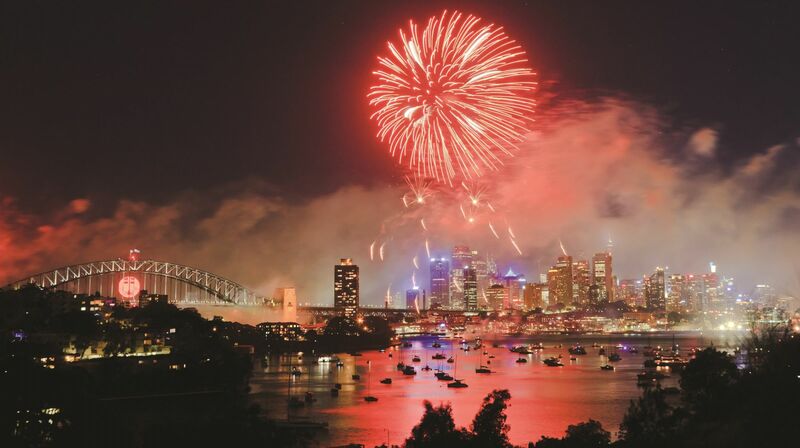 Alternatively, why not enjoy the Sydney Fireworks from tall ships Southern Swan or Soren Larsen – both magnificent traditional square rigged vessels built in the style of the 1850s? 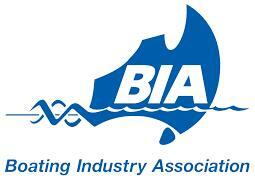 These tall ships have been part of Sydney Harbour’s New Years Eve celebrations for over twenty years. 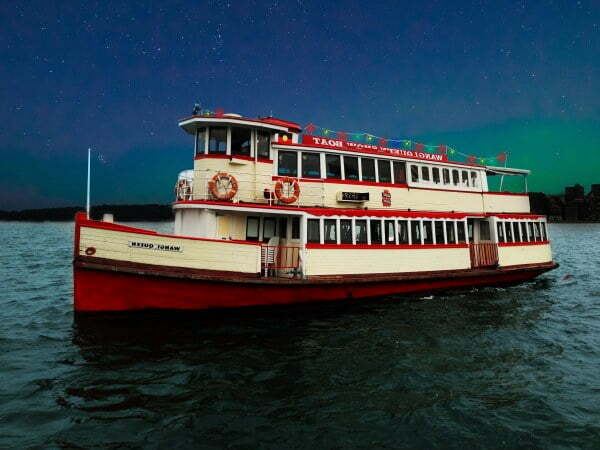 Treat yourself to exclusive views of the 9:00pm Family fireworks, the stunning Bridge Effect and Midnight Displays from aboard the Wangi Queen timber ferry, which has access to privileged viewing areas. On the stroke of midnight fireworks will light up Sydney Harbour and you will enjoy a world-class fireworks display through Wangi Queen’s large windows. 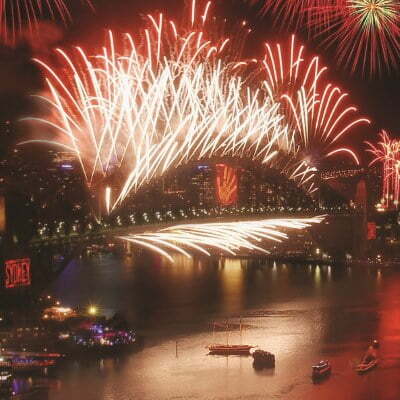 Be amazed as both gigantic and intricate fireworks displays are set off from rooftops along the harbour, barges, and the magnificent Sydney Harbour Bridge. Note: Due to safety parameters out of our control in regard to the disarming of the fireworks barges and traffic clearance given thereafter, our vessels will endeavor to disembark passengers as efficiently as possible once clearance is given by the authorities. Disembarking usually occurs around 1:30am. View the 9:00pm Family fireworks, the stunning Bridge Effect and Midnight Displays on your ``Harbour of Light Parade`` vessel. Participate in the exclusive 15km ``Harbour of Light Parade`` circuit. Delicious & substantial finger food dinner including fresh seafood. Boarding to be confirmed. Boarding is 15 minutes prior to departure. Return: To be confirmed, disembarking: to be confirmed. Total cruise duration is around 5.45 hours. Please note there are no children’s prices, and no free tickets for children under 5 years on NYE. Please call us on 02 8015 5571 for information about group discounts. Pick-up and Drop-off location as well as timings will be confirmed nearer the date.